What a Fall is and How Ya Use One. I hope everyone has had a lovely month of celebrating all the holidays with friends and family! I, for one, had a very lovely time with my family last week wearing a variety of bathrobes. My parents graciously wait until about noon every day before they asked if I planned on changing into clothes for the afternoon. 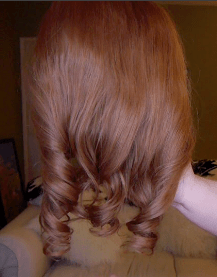 So for all my lazy bunnies, I wanted to share a hair piece that can save you major time. Ever wondered what Kim Zolciak from Real Housewives of Atlanta wears, so that she’s never TARDY FOR THE PARTY? Oh dear heavens, I love this joke so much I could go to bed for the day already. Also, is a joke still a joke if you are the only one laughing? Ok, seriously, I had never heard of a “Fall” until about five years ago when I was a hair model working on a shoot and saw what looked like wig with no front go past me attached to a foam head. A fall is basically a 3/4 length wig. My friend Meagan has one that she calls her “half-wig.” You put your own hair up in a braid or bun, but leave down the front section on your own hair and some hair at the back as well, in case you want to wear a ponytail. You can style the fall in advance, and it holds the style for a long time, I’ve had these curls in mine for a month already with no touch up. You just clip it in whenever you are in a rush, style the front and back pieces of your real hair that you can see, and you are good to go. A Fall can save you major styling time. -My fall is from Extensions Plus. The process of making a fall is: at their showroom, they measure your head to make sure the cap will fit you. Then they quickly snip 3 small pieces of your hair (if you are getting it custom colored, it comes standard in dark brown) and then dye the hair to match. You can’t see where they snipped the hair at all. It’s colored on site in Reseda, CA. – My fall is human hair, so it can be cut, colored, and styled with heat tools. 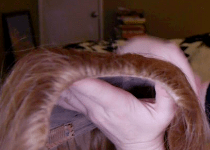 – Mine is Zig-Zag wavy hair, made with 18-20″ length hair. 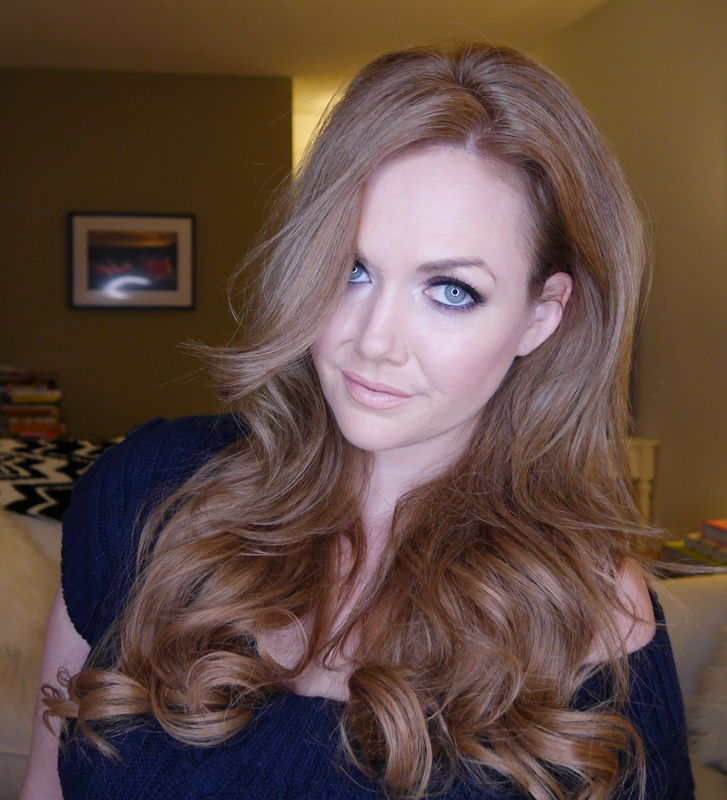 – Falls from Extensions Plus start at $575, with an additional $300 for custom coloring. Pricing for color varies depending on what you are getting done. 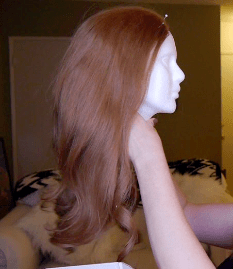 – I colored my hair the night before I filmed how to clip it in, so my hair is slightly darker in the video, but after a week the color matches again. – Each fall is stitched onto a stretchy cap, with a large comb at the front, and six secure, silicone lined clips around the cap. – Pull out the front pieces, make sure it’s enough to cover the fall’s front seam. Also, leave out a small amount at the back and bottom, to make it look more natural. – Pull the rest into a tight, flat bun or a tight french braid, wound into a flat bun. – Starting with the bottom two clips, make sure they clip snugly into the bottom of the bun or braided hair. – Then adhere the front comb, and side and front clips. – Style your front and bottom natural hair and you are go to GO. Thank you so much for reading! Please feel free to ask any questions below. You can share this post on Facebook and pin any pictures to Pinterest. Follow me on Instagram @girlgetglamorous. 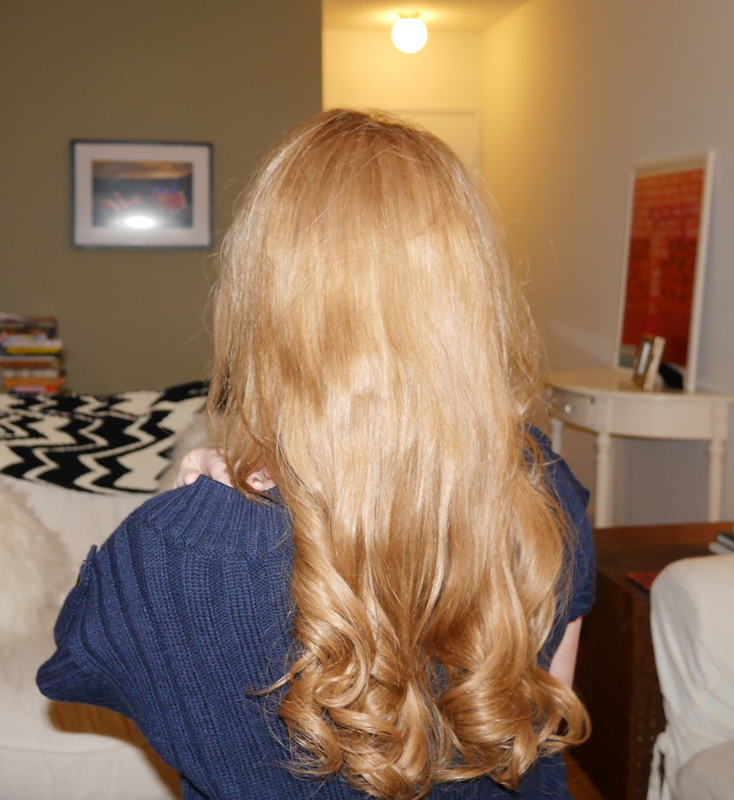 *This fall was given me from Extensions Plus for my unbiased review. If you’d like to send me a product please email me at: headhoncho@girlgetglamorous.com. Thank you! I’m getting married in a couple of month and I don’t know what type of hair extensions should I get the clip-in or the tape-in taking in consideration that I wash my hair a lot, that’s one thing. The other thing my hair is a medium length so I need something that will make it look long and thick so how many grams will I need to end up with such look!!? I did a post comparing the two styles a while back on the blog, I should prob do an updated one! Tape-ins are better if you are going to want the hair in everyday. The style stays consistent, but you will lose a little of your own hair unless the tape ins are put in and taken out 100% correctly. Clip ins are better if you want the hair just for the wedding, photos, rehearsal dinner etc. You can take it in an out each morning and night so it doesn’t get too heavy. A stylist can trim or cut layers your clip ins or tape ins so that they look natural and more like your own hair. Please check out that other post and let me know if I can help with the decision any more. I have a lot to say on both as I love and have used both a lot!